Mankato is known as a place to get away and explore the outdoors. When out-of-towners and their families visit Mankato, one of the first things they want to know is where to eat. Lucky for them, Mankato has a strong local food scene where restaurants in the City Center and nearby neighborhoods serve everything from New York style pizza to creative burger creations and local craft beer. And visitors have spoken out on review sites like Yelp and TripAdvisor about their favorite local restaurants in Mankato. Here’s a look at the top 10, in no particular order. Number 4 American Bar & Kitchen on East Walnut Street has become one of Mankato’s go-to spots. The focus here is on traditional American dishes—with a twist. The togorashi burger, for example, is topped with smoked bacon, pepperjack cheese and cabbage tossed in a creamy sweet chili sauce. The Sriracha bacon burger is another menu favorite, served with Sriracha mayo. Instead of traditional buns, Number 4’s burgers are served with four pieces of toast—two on the top an two on bottom. 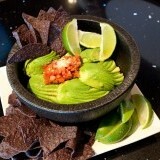 And the guac made tableside is a must. Inside, the restaurant is modern but comfortable with black leather booths, red curtains and exposed brick. Also, this is a bar as much as it is a kitchen, so check out its extensive drink menu. For an unforgettable meal made with love, you should try Olives by Massad’s, a family-owned restaurant specializing in fine cuisine with Lebanese flavors. Executive Chef and Owner John Massad and his wife Najwa have been a mainstay in the Mankato food scene for more than 30 years. Olives is their newest venture, and it’s arguably become their best. The menu at Olives is a smart combination of Mediterranean and American cooking techniques and styles, resulting in light, flavorful options like fried cauliflower, pan-seared quail, and basil-scented red snapper. Other dishes include caramelized onion pizza, grilled portobello mushroom sandwiches and savory New York strip. The restaurant has weekly specials, including Tuesday fondue nights, specials during Mankato Mavericks hockey season and more. A must try either on the menu part of their daily lunch buffet is their famous Chicken Schwarma, made with their marinated rotisserie chicken, delicious fixings and their unforgettable signature sauce. Serving the city of Mankato since 1969, Pagliai’s Pizza, known for its variety of unusual yet satisfying flavors, has always been in the running for the best pizza place in town When dining at Pagliai’s in downtown Mankato, guests are encouraged to try fun flavors like “Taco Pizza” with seasoned beef and taco chips as toppings; “Sweet Heat” with pepperoni, pineapple, banana peppers and bacon; and “Philly Steak” with beef and special white sauce. 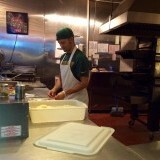 In addition, the restaurant serves tasty Poorboy sandwiches, spaghetti and garlic bread. As one of the most popular hangouts for locals and visitors in Mankato, Pub 500 is widely hailed as a hip spot for libations, hearty fare and sports bar atmosphere. Located on South Front Street in the heart of downtown, Pub 500 is known for hosting various nightly events like Monday Night Poker, Thursday Night Trivia, open mic and live music. Diners can swing by for breakfast, lunch, or dinner and sample pulled turkey sammies, raspberry jalapeno pork, and rodeo burgers. The restaurant features daily specials for guests to take advantage of its price and try out new flavors. 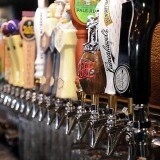 While there, have a beer with your meal (over 20 flavors on tap) or a house wine. Beer lovers will want to jump at the chance to sample more than 38 craft drinks on tap at The Boulder Tap House on St. Andrews. When visiting, guests can try out various local and national beers to pair with their pub-style meals of chicken wings (in more than 20 flavors), taco platters and fajita steaks. For a more fun way to satisfy your appetite, opt to build your own burgers with tons of gourmet toppings (cinnamon brown sugar should go lovely with applewood smoked bacon). 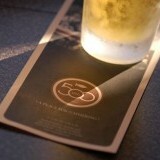 Boulder Tap House has weekly happy hours including $1 off taps, rail drinks and half price deals on appetizers. 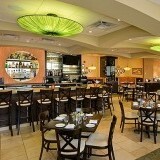 Diners will enjoy the sports bar vibe of wooden furniture, dozens of flat-screen TVs and a stone fireplace. There’s no need to go to south of the border for authentic Mexican cuisine when you can head to Mankato to El Mazatlan along Madison Avenue. Once inside, guests will notice the kitschy style decor of neon green and flashy pink colors painted on walls, and Mexican-style tables and chairs with fun scenes either painted or carved on them. 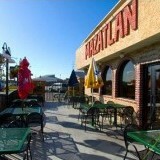 Diners love El Mazatlan’s variety of authentic meals from fajitas to burritos to enchiladas served fast and fresh. Seafood lovers will want to try out the catfish tacos, shrimp cocktail and pescado ranchero (with tilapia). Some meals are served in clay cookware to further enhance the true Mexican experience. Wake up and smell the espresso at Coffee Hag, Mankato’s favorite laid back hangout with a cool decor of eccentric musician albums, local artwork and a tin ceiling. Coffee Hag’s bright blue door sets the tone as soon as you enter. 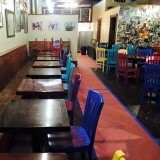 Inside, a collection of chairs in rainbow colors fill the coffee shop, where art covers the walls. 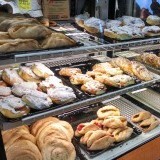 The cafe serves lattes, americanos and espressos, as well as freshly baked cookies, pastries and pies. Make plans to swing by Friday and Saturday nights to catch a live performance from local musicians or an open mic night. Satisfying locals with hearty buffalo wings and refreshing cocktails since 1988, Tav on the Ave is among the first taverns in Mankato. Brothers Christopher and Patrick Person who own the restaurant pride themselves on having served more than five million wings since its opening, and the establishment has been hailed as one of the best sports bar in town by several publications. Additionally, Tav on the Ave serves hearty sandwiches like a tuna club, dagwood delight, and cajun chicken. However, its impressive collection of beers on tap is what keeps guests coming back. Whether you’re craving a nutritious meal or freshly baked cookies, Friesen’s Family Bakery & Bistro has everything to pique your interest. During the day, the bistro serves tasty grilled sandwiches, hummus plates, delicious soups and turkey sliders. Vegetarians and vegans will find plenty of meat-free options. The bakery section has what seems like an endless selection of cookies in dozens of flavors, freshly baked loaves of breads, jumbo muffins and specialty cakes. Restaurant Owner and Chef Tony Friesen has a strict policy of using only locally sourced ingredients, and that commitment is evident in the quality of the food served. Save yourself a trip to the East Coast and head over to Dino’s Pizzeria for a slice of pie—that would be a slice of authentic New York style pizza. Located in North Mankato on Belgrade Avenue, the restaurant is exactly what you want to see in a pizza place: red gingham tablecloths and shakers of parmesan cheese on the tables, and a strong scent of melting mozzarella and toppings coming from its open kitchen as soon as you walk in the door. Guests can order delicious pies with a wide array of toppings, and Dino’s also serves Italian classics and other desserts like tiramisu and creme brulee. Dino’s is also the kind of restaurant that’s great if you want to take the kids. The family can make the most of their wait time by doodling together on a giant piece of paper, playing board games or the kids can play with their own ball of real pizza dough. 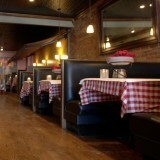 It’s also a nice spot for a date where you can share a bottle of wine with your pizza or pasta. Check out some of the top places to take your kids in Mankato here. This list of 10 restaurants is only a snapshot of the wide variety of food options you can find in Greater Mankato. Take a look at all the great dining options in Mankato City Center and beyond here. And for a comprehensive look at all the great things to do in Mankato, request a copy of the visitor guide or download one here.